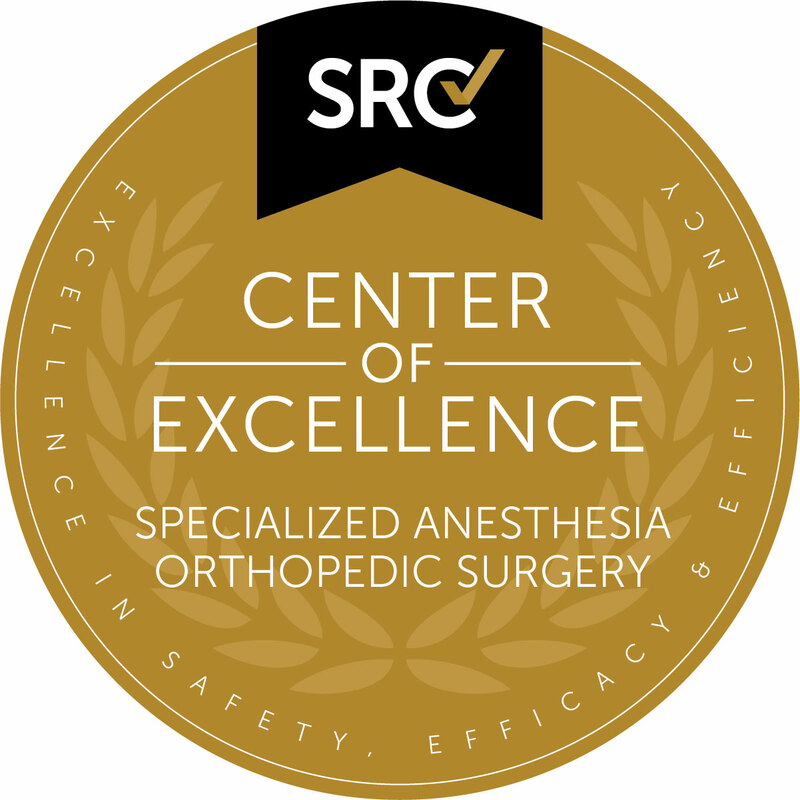 In partnership with key opinion leaders and industry professionals, SRC developed the Center of Excellence in Specialized Anesthesia – Orthopedics (COESA-OS) program. The COESA-OS program identifies anesthesiologists who provide excellent care and are dedicated to continuously improving healthcare quality and patient safety. The applicant demonstrates a commitment to excellence at the highest levels of its medical staff and administration in the delivery of anesthesia and related care to orthopedic surgical patients. This commitment includes providing ongoing, regularly scheduled in-service education in the unique needs of orthopedic surgical patients. The applicant facility must have credentialing and privileging guidelines for anesthesiologists. In-service education programs must ensure that all staff providing perioperative care to orthopedic surgical patients have a basic understanding of the unique needs and the appropriate management of the orthopedic patient population. All members of the anesthesia department, including physicians and ancillary staff, must be trained on the specific needs of the orthopedic surgical patient through regular educational programs; including, but not limited to, safe patient transfers and positioning, monitoring, medication dosing and the proper use of appropriate equipment. The applicant must have a letter of recommendation from the Chief of Orthopedic Surgery, the Chief of Anesthesia or facility equivalent. The applicant facility must have significant, ongoing experience delivering safe anesthesia services to orthopedic surgical patients. The applicant facility must have provided anesthesia care for at least 250 orthopedic surgical patients in the preceding 12 months. The applicant anesthesiologist must have significant, ongoing experience delivering safe anesthesia services to orthopedic surgical patients. The applicant must have been the primary anesthesia physician for at least 100 orthopedic surgical patients in the preceding 12 months. The applicant physician must have provided primary anesthesia care for at least 150 orthopedic surgical patients in his or her lifetime. For facilities and anesthesiologists, all perioperative anesthesia-related patient care, anesthesia-related complications and mortalities must be thoroughly documented to enable a medical chart review. This would include multidisciplinary mortality and morbidity audit and review with minutes available for review during inspection. The applicant maintains a designated Program Director for anesthesia services who participates in the relevant decision-making administrative meetings of the facility and ensures that the unique needs of the orthopedic surgical patient are met. The Physician Program Director must participate in interdisciplinary team meetings to ensure that key decisions related to anesthesia care for the orthopedic surgical patients are addressed in a comprehensive manner. Two anesthesiologists may share the position as co-program directors. Meetings will be held at least every six months within the anesthesia department to evaluate the management and outcomes of orthopedic surgical patients. The applicant facility maintains a full complement of consultative services required for the routine and intensive care of orthopedic surgical patients. Documentation that an anesthesiologist supervises anesthesia delivery on all orthopedic surgical patients; is physically present until the patient is discharged from the Post-Anesthesia Discharge Unit (PACU); and, following PACU discharge, is available onsite within 30 minutes if needed. Onsite 24/7 (or within 30 minutes of request) – a physician with critical care credentials to manage complications, specifically a critical care physician/intensivist, hospitalist, cardiologist or pulmonologist. If the facility does not have an emergency department or intensive care unit, a written transfer protocol that details the transfer plan of surgery patients to other emergency or critical care facilities must be in place. The applicant facility has trained personnel, services and equipment to support the immediate care of the unstable patient until a safe transfer is completed. The applicant has a full line of equipment and instruments appropriate for the safe anesthesia care of orthopedic surgical patients. Personnel are trained in the safe operation of this equipment. All anesthesia equipment is properly checked before each surgical procedure, and the results are documented in the patient’s record. This requirement applies all areas where orthopedic surgical patients receive anesthesia-related care. If the facility does not have an emergency department or intensive care unit, it must have a clear pathway and agreement of escalation to provide the required levels of care. Suitable equipment, including ventilators and hemodynamic monitoring equipment, must be available onsite to stabilize and resuscitate critically ill patients until transfer to that facility can occur. The applicant must have completed an approved anesthesia residency and be board certified or an active candidate for certification by the highest certifying authority of his or her country. Every three years, the applicant must have completed at least 24 hours of Category 1 continuing medical education or have attended at least three nationally or internationally recognized anesthesia meetings focused on the unique needs of the orthopedic surgical patient. The applicant has privileges as an anesthesiologist at the co-applicant facility. Facilities and surgeons must formally adopt and utilize clinical pathways/protocols that facilitate the standardization of perioperative anesthesia care for the orthopedic surgical patient. Clinical pathways can be documented in a variety of formats, including tables, algorithms/process maps and paragraph form. Pathways must be part of the patient record or available in each patient care area for reference. Nurses, physician assistants, residents and other applicable staff must be knowledgeable of the pathways and implementing them. The applicant facility has ancillary anesthesia staff including one or more classifications of specially trained personnel including Certified Registered Nurse Anesthetists (CRNAs), Anesthesia Assistants (AAs), physician extenders, nurses and/or operating department technicians to assist the anesthesiologist in delivering excellent anesthesia care to the orthopedic surgical patient in the appropriate setting. A physician extender is defined as any healthcare provider who assists an anesthesiologist. Current certification and hospital privileges must be documented for all CRNA’s and AA’s providing anesthesia services within the applicant facility. The applicant provides all orthopedic surgical patients with comprehensive preoperative patient education that includes anesthesia options and individualized discussion of possible risks. The applicant has a process for obtaining informed anesthesia consent and selecting the type of anesthesia that is most appropriate for the patient. Preoperative education and informed anesthesia consent must be provided and documented for every orthopedic surgical patient. Facilities and surgeons must have an outcomes data tracking process in place. This data will be provided to evaluate the effectiveness, efficiency and safety of anesthesia for the orthopedic surgical patient. Applicant must collect prospective outcomes data on all patients who undergo a qualifying surgical procedure in SRC’s Outcomes Database (or a similar qualifying database) in a manner consistent with applicable patient privacy and confidentiality regulations. This de-identified data must be available to SRC for initial and renewal site inspections or upon request.